ICO (Initial Coin Offering) is a fundraising event without government regulation by selling new tokens made by related platforms. ICO It has been popular since 2017, because of the ease of being an investor and the potential for profit, more and more people are starting to be interested in ICOs. PlayGame ICO is a project from Indonesia that sells PXG tokens where these tokens can be used to enjoy the services available on the PlayGame platform when launching later. A little explanation about PlayGame, which is a project that aims to make it easier for gamers to be able to hold small tournaments, or can also buy items directly to the game developers concerned using PXG Tokens which will definitely get cheaper prices. Gamers can also chat and chat with each other, to facilitate their communication when playing games. A few days ago, PXG Pre - Sale was underway. Antusisas from the community is very high, even some people are willing to sell their assets just to buy PXG Tokens, one of them is my friend. 200,000,000 PXG Tokens sold at presale, are now sold out without remainder. Please note that the total PXG Token sold is 600,000,000 PXG, so 1/3 of the total tokens sold are secured by investors. Then 400,000,000 PXT Tokens will be sold on the Main Sale or Public ICO in the next 3 days, ie on September 24 2018 to October 24 2018. Softcap determined by the developer is 200,000,000 PXG Tokens, so softcap has been achieved during the Pre-Sale period. News about PXG ICO has been viral in Indonesia a few months ago, all investors are preparing themselves to buy PXG Tokens. Softcap has been achieved, that means the PlayGame project will be ready to launch either sooner or later. All investors will look forward to this. 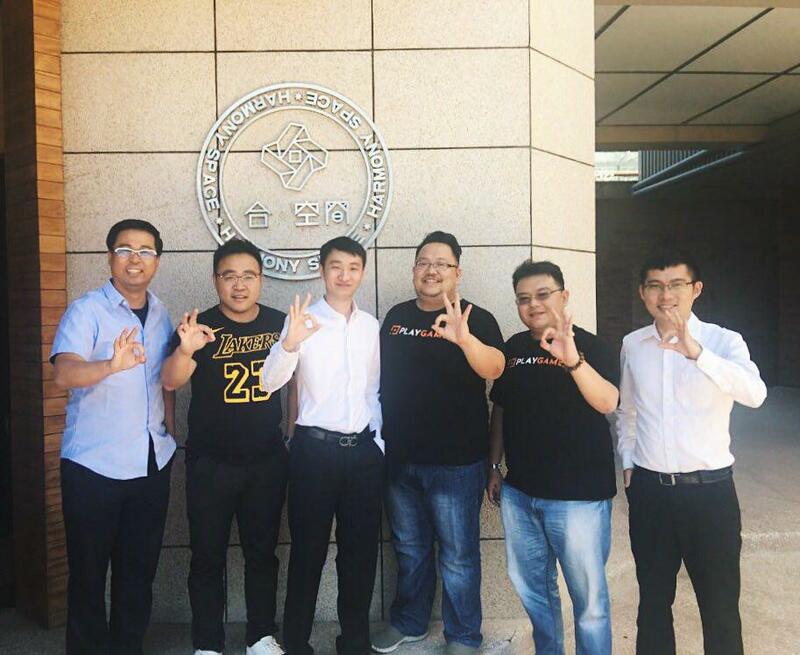 First, they took Oscar Darmawan, CEO of INDODAX and CEO of Tokenomy to join as Advisor. Although only as an Advisor, Oscar Darmawan will promise that PXG will get a special path to be listed on INDODAX and Tokenomy, both of which are well-known cryptocurrency exchangers from Southeast Asia. That way, investors will certainly be able to sell their PXG tokens again at competitive prices. Secondly, the PlayGame project originates from Indonesia, where the majority of the core team and developers come from Indonesia, so the enthusiasm of the cryptocurrency community from Indonesia is willing to support this project. 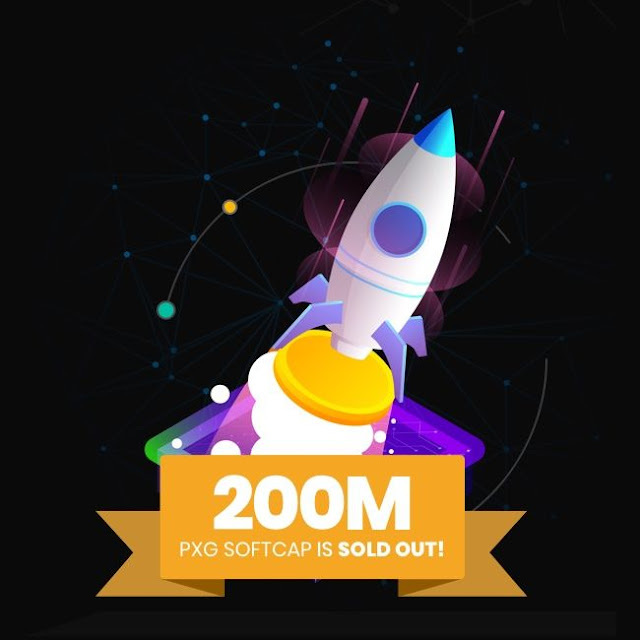 Evidently, the high interest of the crypto community caused all of the tokens allocated for Pre-Sale to be sold out and won softcap of 200 million PXG sold. Third, a good market. Currently the E-Sport program is being considered an Olympic competition, indirectly there will be a lot of people who are starting to seriously play games in order to get a seat as the best gamer. When several online games are competed in the 2018 Asian Games in Indonesia, many positive responses have emerged. That's a sign that gamers all over the world, need game services that can make them Pro Player. Fourth, for reason number four this is my own opinion. That is because the Ethereum price drops at 200 USD. If we instigate when the price of Ethereum is 1000 USD, of course we will only get PXG at an expensive price. But when the price of ETH 200 USD, we will get more PXG. So many articles that I can write, hopefully it can be your consideration in making a decision to invest. And for those of you who are interested in buying PXG Tokens, please visit the following page https://launchpad.tokenomy.com/playgame. Please note, you must register and verify your personal data in Tokenomy to be able to buy PXG Tokens. Price of PXG Token when ICO is 1 ETH = 15000 PXG. 10% bonus for those of you who buy using TEN.